What do you Call a Baptist who attends a Presbyterian Church? Answer. . .
…the acceptable way of worshipping the true God, is instituted by himself, and so limited by his own revealed will, that he may not be worshipped according to the imagination and devices of men, nor the suggestions of Satan, under any visible representations, or any other way not prescribed in the Holy Scriptures. As a Reformed Southern Baptist pastor, I grow weary of other “Reformed” Baptists, who, due to the lack of “solid” Reformed Baptist churches near them, opt to attend solid Presbyterian churches. I put “Reformed” in the phrase ‘”Reformed” Baptists’ in quotes because Reformed Baptists in church history would not recognize you as a Reformed Baptist. They were persecuted for believing and teaching rightly about baptism. 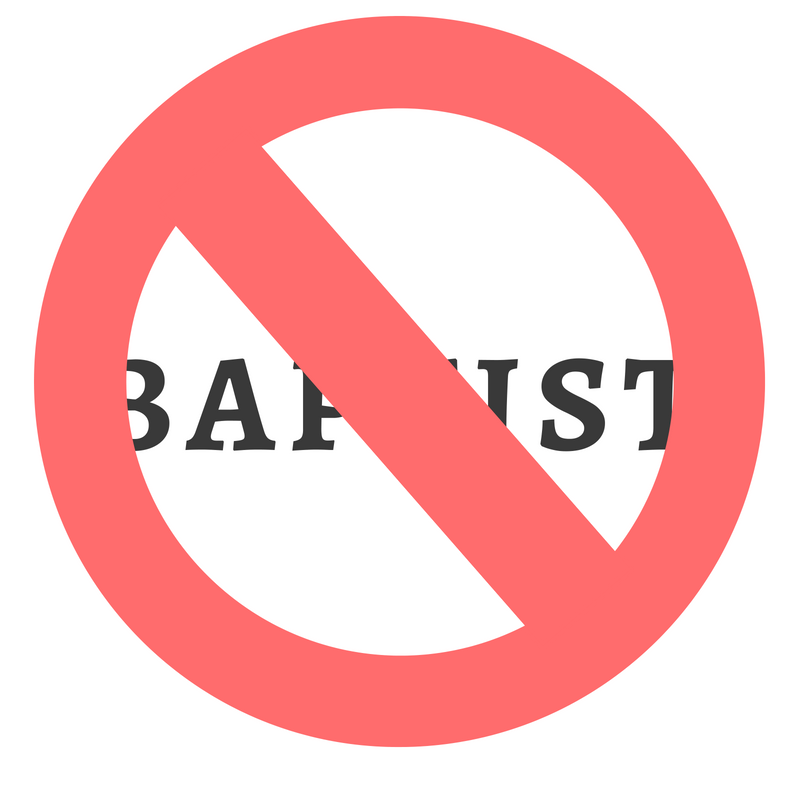 If you can participate in a worship service where baptism is administered unbiblically, Sunday after Sunday, over and over again, don’t call yourself a Baptist. If you can watch pastors diminish the New Covenant in Christ by baptizing babies apart from their personal repentance and faith, don’t call yourself a Baptist. Furthermore, sprinkling is not baptism; sprinkling does not display the biblical drama of identifying with Christ in his death, burial, and resurrection; only immersion does. Moreover, baptism without a prior profession of faith is not biblical baptism. If you can participate in a worship service where babies are included in the New Covenant apart from personal faith in Christ, don’t call yourself a Baptist. At this point, you may say, “But Jared, there isn’t a solid Baptist church in my community.” Then start one! The fact that you’re not willing to invest the blood, sweat, and tears necessary to start or build a Reformed Baptist Church means that there will never be a solid Reformed Baptist Church in your community. And if there ever is, it will be in spite of you, not because of you. Stop blaming others and look in the mirror. Or, love your brothers and sisters in Christ enough at these semi-Reformed Baptist churches (SBC/BF&M2K) to get alongside them and spend 10+ years loving and teaching them, until they are persuaded to be Reformed Baptists. You may learn something from them in the process; I sure have! The fact is that if you are a Baptist who attends a Presbyterian church, you will never serve as an elder at your church. You will never be able to teach biblical views concerning baptism. You will never lead in your church. If the biblical mode (immersion) and the biblical prerequisite (repentance and faith in Christ) for baptism are not important enough doctrines for you to worship somewhere else or to start a church with biblical worship, then just become Presbyterian already. Or, at least stop identifying yourself as a “Reformed Baptist.” You are more Presbyterian than Baptist. *I love my Presbyterian brothers and sisters. But just as you are unapologetically Presbyterian, I am unapologetically Baptist. Only believers should receive the sign of the New Covenant, for only believers are in the New Covenant (Jer. 31:31-40). What do you call a Baptist that ascribes to Reformed Theology? Oh no! Spurgeon wasn’t a baptist. Or John MacArthur. Or, I guess, maybe Phil Leslie doesn’t understand Baptist distinctives. Not sure which is more likely…. Or Andrew Fuller…. and I’m assuming the latter. Phil is just a bigot trying to push people’s buttons because he denies reality. Wait, the early Baptists weren’t Baptist? lol.. by this skewed standard..no. SMH! What about the Particular Baptists of the 17th Century and, in the US, the Regular Baptists? Traditional Southern Baptist doctrine has essentially been a hybrid of the Particular and General Baptist positions. It is neither rigid Arminianism nor strict Calvinism. We should simply preach the Gospel to every creature in truth and in love, and leave the results up to God. Phil has obviously never read a history book. Congrats on being closed-minded. What about William Carey, father of Baptist International Missions. Or Adoniram Judson, father of American International Baptist Missions? What about John Gill? I mean really, this is about the most absurd and close minded post that this site may have ever scene…well maybe not, but it definitely is up there. Seriously, in my PCA church we have a number of folks from Southern Baptist memberships who become regular attenders. Some even join. Some join and embrace true covenantal baptism of believers and their children by sprinkling, pouring, or immersion. 🙂 Some join and continue to hold their SB baptism views and are fine with not being able to become officers in the church. They are just fine serving in in a multitude of other ways and often lead ministries, sometimes even teaching SS. Well, welcome to do everything but teach their doctrinal convictions (such as they are), right? Or serve as elders either, right? Yes, welcome to teach on many, many things. We ask that and they agree not to teach on any matters in contradiction to our doctrinal standards. Since there is MUCH we all agree on, then there is no issue. And right, cannot serve as elders until they can fully subscribe to the WCF, etc. Les, I appreciate the friendly tone. I’ll leave it at this: what you are describing is the problem. I know it works out well for Presbyterian churches but, well, the original article describes the greater weight of the problem (at least IMO). And having said that, all my best to you and yours. Thanks Jeff. I get it. There are several serious problems with the OP. But I realize my place on here. This is a Baptist site. I’m a guest who pours water on babies. So I do get it and see no need to provoke. Just leave it at, in my view the OP is a Baptist opinion but IMO goes to far and begins based on a faulty premise. God bless. No Jeff, Paedobaptism is not required to serve as an elder in a Presbyterian church. But an SBC church will require it of you if you were baptized as an infant before you can even teach sunday school. Believer’s baptism by immersion is a non-negotiable for a baptist. “Believer’s baptism by immersion is a non-negotiable for a baptist.” I know. I used to pastor in SB churches. Then pastored in PCA churches. I’ve taught membership classes from both sides of the issue. My good friend Les has previously baptized some of my children both in Baptist churches by immersion after conversion and in Presbyterian churches as infants. The kids are adults now and still faithful believers and regular church attenders We can argue about which way is more biblical, but both ways appeared to work. Infant baptism (paedobaptism) is not only useless, it can lead to the dangerous, false deception that “I have always been a Christian” when there has been no new birth. It would seem some four decades later, as Southern Baptists have become more affluent and culturally normalized, some of them are no longer content with just being as “tame” as Presbyterians, but are now actually becoming them. My response: Post profession of faith immersion (credobaptism) is quite appropriate and wonderful, but it CAN lead to the dangerous, false deception that “I am a Christian” when there has been no new birth. Les, are you really arguing that credobaptism can possibly lead to “false deception” when you baptize babies? There can be nothing more dangerous concerning “false deception and baptism” than baptizing a baby. Jared, yes it CAN. I didn’t say that it necessarily does. But it can. Don’t hear what I’m not saying though. I am NOT saying that the mode and/or timing would be the cause of the “false deception.” Neither is that the case with the paedo view. The “false deception,” if there is any in an instance, is entirely down to people misunderstanding what has or has not happened in the baptism and/or in their own hearts. And I don’t know how you can prove that “nothing more dangerous concerning “false deception and baptism” than baptizing a baby.” But I’m open to see that. One wonders that if paedobaptism was necessary and essential to salvation, why we find no evidence of Jesus Christ endorsing the practice (or practicing it), nor any details in New Testament doctrinal passages about exactly how to administer it, nor any express warnings to parents of infants of the imminent danger of not obtaining an infant splash-n-dash. The New Testament teaches believers baptism by immersion. This is a baseline issue settled in the Baptist tradition for nearly 500 years (or more if you’re a landmarker). That we’re even debating this on a Southern Baptist site is remarkable. Thank you John for the interaction. Not that I could not debate it here, I will bow out at this point. I have been participating here for several years and have tried hard to not get too deep into debating the baptism issue here out of respect for the purposes of this site. This is a Baptist site and so I will stand down at this point. God bless brother. Well not true. But I get that you don’t agree with me. That’s ok. Brothers can disagree over non essential matters. Hey Frank, my Texas brother. I remember well those baptisms and cherish those times with your family. After reading your suggestion that reformed Baptist should go START a church if one is not near them. That I will agree with that. They SHOULD NOT go to a regular/traditional or non reformed Baptist church and tear it apart to make it their own. The devil is in tearing apart churches to satisfy ones will to reform a non reformed church. So, please start your own church if you want a reformed Baptist church when one is not available. Wow…..I sure hope some lost people read the comments to this article so they can see Christians calling each other close-minded bigots. They’re really going to want to know more about our Jesus after that. Good job, guys! Right on. Brother! You are SO correct! Simple. Someone who is fed up lots of SBC thirtiary matters that result in nothing but division instead of love and unity over the essentials of Christianity. That’s why a Baptist often attends a Presbeterian, Methodist, Lutheran, Non-denominational, etc. type of church. The doctrine and specifics of soteriology are hardly tertiary matters. They may not nowadays get holy hands a-wavin’ like a contemporary P&W song clipped from K-Love or some self-help “How-to-win” pep-talk at a ambiguously-named, casual, “seeker” church, but they cut to the timeless, biblical essence of the Gospel message. And one’s views on TULIP historically have, at times, made material differences in approaches to spreading the Gospel and the priority of it. “The doctrine and specifics of soteriology are hardly tertiary matters.” I agree 100% brother. And that is why differences on the mode and timing of the application of water in the church are non-essentials to us in almost all Baptist and Presbyterian churches. We both realize that no one is saved by baptism. “And one’s views on TULIP historically have, at times, made material differences in approaches to spreading the Gospel and the priority of it.” You are right again. That’s why we can look back with gratitude to the numerous Calvinist Baptists and Presbyterians who led the way in evangelism and missions. Thank God for them making the top priority spreading the gospel around the world. God bless. 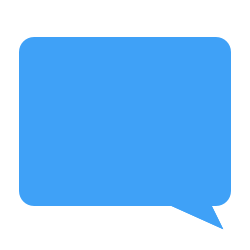 My “thirtiary matters” comments are directed more to the “Reformed” or “Non-reformed” arguments and quarrels. It doesn’t matter to me on which camp you chose to fall in as long as you don’t turn it into divisive quarrels.Your love and appreciation of Spurgeon’s or Calvin’s teachings (Reformed, TULIP, etc) should NEVER surpass your love for the essential teachings of Christ who call us, his followers, to live in unity as evidence to an unbelieving world that we know and follow Jesus. Were Spurgeon or Calvin ever crucified on a cross for our sins? No! Therefore, let’s devote and identify ourselves with the teachings of Christ and no one else. In regards to your argument on baptism, I too believe that baptism follows a person’s decision to place their faith in Christ. With that being said, the biblical essence of the Gospel (or the doctrine of Soteriology) is that salvation is by grace, through faith, alone. While Baptism is clearly mandated as a step of obedience for those that have placed their faith in Christ, Baptism (whether by immersion or any other means) is NOT a requirement for salvation. Requiring anything in addition to faith in Christ for salvation, is a works-based faith. The world is watching. Let’s agree on the essentials and provide room and space for the nonessentias so that we can grow in a spirit of unity and love. Les, I appreciate the interaction. You and I agree on most everything. I know you’re a solid Christian, teacher, etc. I just think you’re wrong on some important issues that require us to be in different denominations. But, we can definitely worship together; you could preach in my church, etc. Keep preaching the gospel friend. Jared I feel exactly the same about you brother.We have some differences, but on the gospel, salvation by grace alone in Christ alone by faith alone, we are 100% in agreement. I would gladly minister along side you any day. God bless.